The Manners movie was written by Foluke Morris who had an inspiration to use a comedy movie platform to promote good manners in children. The movie was filmed in the UK and it is about couple who live with a royal family were tricked to adopts two unruly brothers from an orphanage. The movie will be out in 2019. 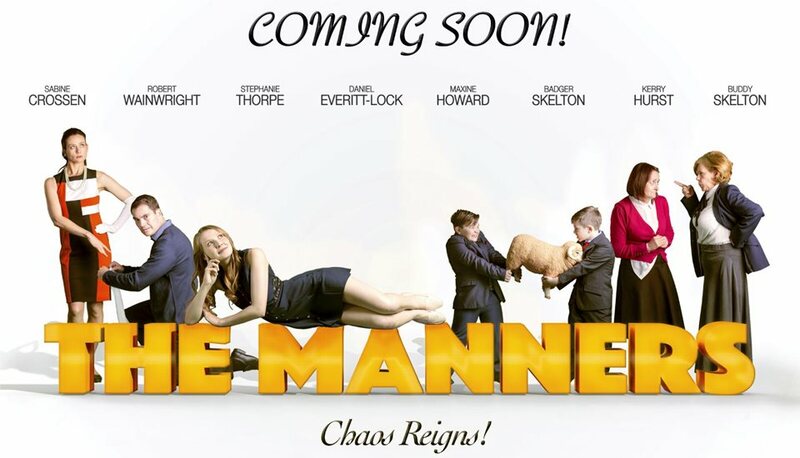 The comedy film is about a couple (Nick and Jenny Manners) who live with a royal family; unfortunately, the couple were tricked to adopt 2 unruly boys from an orphanage. Jenny ( A younger Hyacinth Bucket) is elegant and throws her weight around because she works for the ‘Queen of Barland’. Jenny bosses her husband around most of the time and doesn’t get along with her sister-in-law, Beth. (When Jenny bakes 45 cakes, Beth makes sure she bakes 47 cookies; the competition is fierce.) Jenny tells everyone that her uncle is an astronaut even though he only drives the bus for NASA. Beth steals Jenny's idea of throwing a ' Royal Chilli party' which left all the guests panting for water. and more water. The couple brought home the boys (Bibi and Bobo) to live with them in ‘Barrington Palace’ and there wasg chaos in ‘paradise’. Poor Nick overworked himself to hide the boys' unruly behaviour from Jenny, but not for long. Beth made sure of that. Highlight for Beth is when she got the boys to sing the "I WANNA POO POO song at a royal function. There's building romance between the Prince Maxwell and the couple’s only daughter, Etiquette. There are also other funny characters such as Prince Chuchu, who carries a swatter around because of his hatred for flies and ‘Yellow’, who can barely remembers a thing; and likes to dress in yellow, from head to toe. How long can Nick keep the boys behaviour from Jenny? Will Bobo and Bibi ever fit into the royal setting? The film is to promote good manners in a fun and unconventional way.